How to optimize your website according to SEO? A businessman must aim at promoting his business in a unique way if he wants to climb the ladder of success. Fortunately, the modern technology has opened a number of ways for the promotion of business and the best way that you can take up to endorse your business is to promote it through the web. Hence, if you want to promote your business through the web, you must have a website that is the ultimate recognition of your presence on the web. A website can be distinguished among the thousands only if is perfectly optimized. 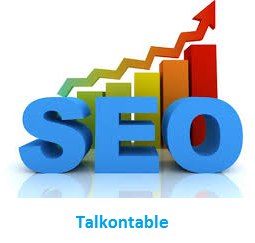 · Easy communication with the search engines so that your website becomes easy to found for relevant results. Which issues are most preferable to the Search Engines? Performance- Your site must work properly as well as fast. Authority: A website should contain more links so that it becomes easier for a viewer to access the other sites from one platform. The more links it contains. The more informative your website becomes. User Experience: The appearance plays a great role to make it easily accessible to the search engines. Your website must look safe and an easy navigation system must be availed. Consistent Domains: If you are searching with abcd.com instead of www.abcd.com and getting two different sites, it will be not at all helpful for your SEO efforts as it will weaken your inbound links. Choose the old ones: Old domains are always reliable than the new ones. Along with all these issues, other issues are also there that helps to optimize your website through an SEO service, like you can include videos and PDF files to enhance the quality of your website.